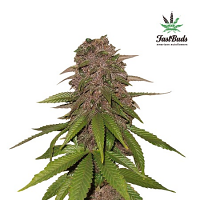 Crazy Bud Auto Feminised Cannabis Seeds by Kera Seeds: Crazy Bud AUTO came to be by crossing several Indica races with a Ruderalis. Of Course most of these autoflowering plants are easy to grow, but the Crazy Bud AUTO is definitely at the top. Crazy Bud AUTO is known as a nice, simple and small plant with a strong and relaxing smoke. It really can be grown anywhere and you don’t have to pay too much attention to it, ideal for first time growers and growers with little time to spare. The Crazy Bud AUTO is a nice and small plant with beautiful colours and a lovely skunky scent. The Crazy Bud AUTO’s smoke is sweet and tasty. Crazy Bud AUTO causes a no-nonsense stoned effect, strong and physically relaxing. 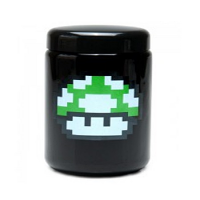 Medically the Crazy Bud AUTO is used to reduce stress and pain.